I want you all to do a test on how fast your internet connection is in Kuching. After the test, you should see two links at the bottom for your result. Copy the link and post it here. Let see who has the highest speed. i wonder does kuching support 4mbps? 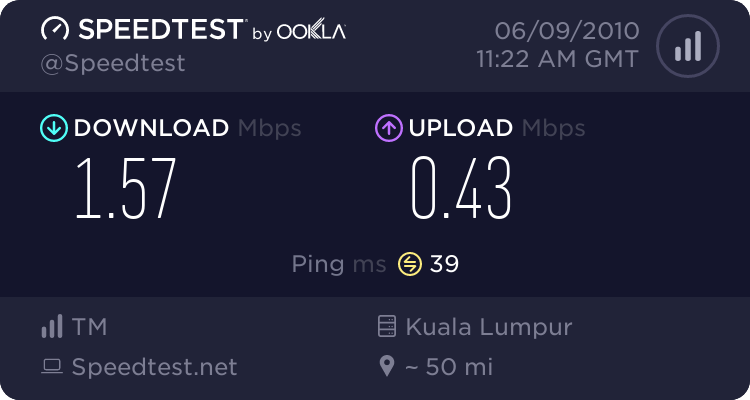 btw, how's ur speed test result TS? Go there and run a test. Thats the only way to find out. Are you in Kuching testing this at home? I didnt know Telekom Msia provide internet service. Or is it Celcom? I see. Not bad at all. @Chong, yours is already long time ago. and here's mine. 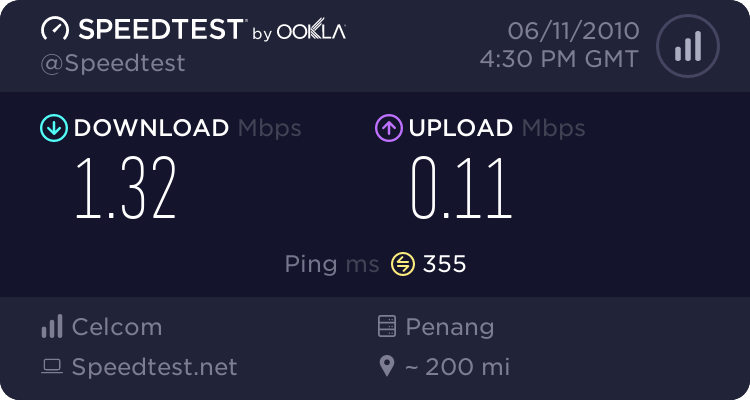 Celcom Broadband and in penang currently. I tried for 3 times, and it seems that it's not accurate. I get different result everytime.